The Lectric LS electric longboard is easy to ride and has revolutionary technology behind it. The dual in-wheel hub motors can reach a maximum speed of 26mph and the battery can take you as far as 18 miles on a single charge. It has two modes, Eco and Ludacris. Eco is designed to get the most range out of your ride, at the expense of top speed, while Ludacris opens up the blazing fast speeds but won’t take you as far. 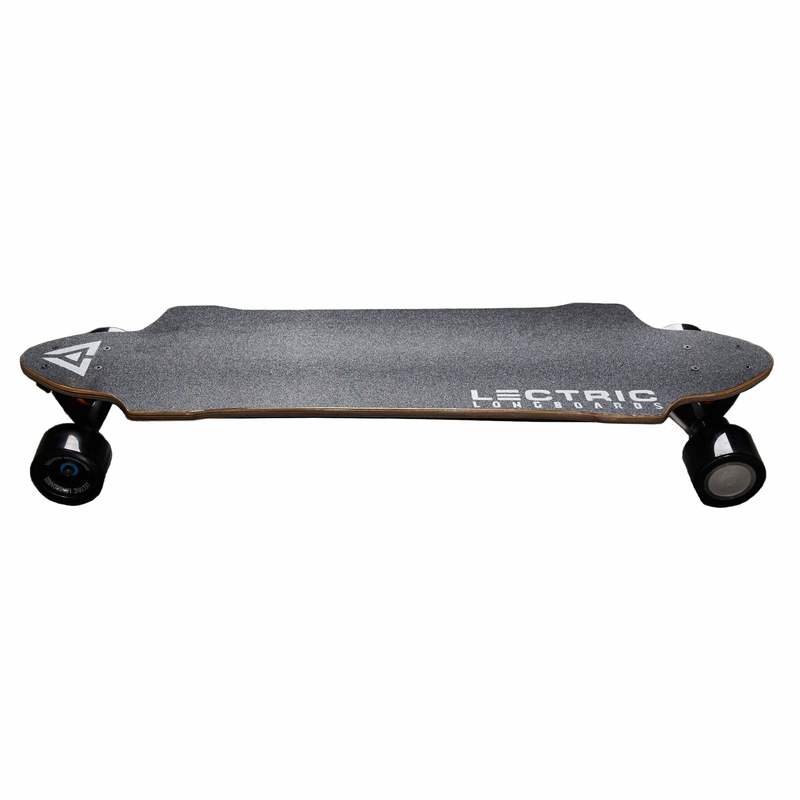 You have the option to purchase the LS electric longboard in black or blue, which as far as I can tell, only changes the colour of the wheels. This is a pretty decent board for its price tag. Perfect for commuting to work and school or cruising on the weekend.